But that W12 engine remains. 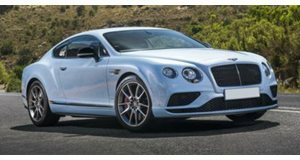 We’ve long known the Bentley Continental GT is undergoing a complete redesign, and will debut this September at the Frankfurt Motor Show. We also know it’ll be built on the same (and lighter) platform as the also new Porsche Panamera. But according to Autocar, we should also plan for what’ll essentially be a completely re-engineered vehicle packed with tons of technology. For starters, this new platform allows for both all- and rear-wheel-drive, something the current VW Phaeton-based platform didn’t provide. Rear wheel steering and a new air suspension, like those on the Panamera, will also be carried over to the Bentley. 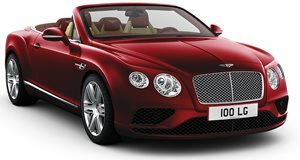 Finally ditching the current Continental GT’s aging platform, its successor will once again be offered as both a hardtop coupe and convertible, but more importantly, it’ll be Bentley’s "most advanced model to date." A Bentley official told Autocar that it’s "second to none in terms of engineering. We have been careful to safeguard the traditional qualities built up over the years while adding features that extend its capability to a whole new level." For example, the new GT will offer several powertrain options, such as a gasoline-electric hybrid that also allows for zero-emissions driving. The twin-turbocharged 6.0-liter W12 will not only return, but it’ll be upgraded with new tech in order to meet the latest emissions standards regulations. Other new technologies will include driver assistance systems, such as autonomous driving capability. Exterior styling is said to be influenced by the Speed 6 Coupe Concept that debuted in 2015 at Geneva. The interior, obviously, will have the finest materials and fit and finish Bentley offers. We’ll probably receive additional 2018 Continental GT updates throughout the summer before the early fall debut.